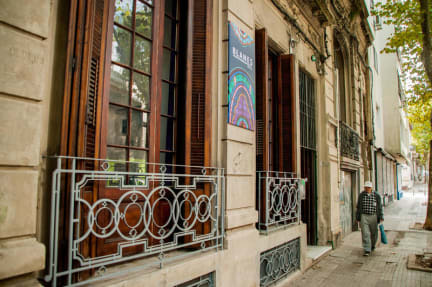 We are located in a strategic point of Montevideo, a few blocks from the beach and the Parque Rodo, minutes from the bus terminal and the main tourist attractions the city offers. In addition we are in the area where the main nightlife of the city, with lots of restaurants, bars and nightclubs are concentrated pub's so you can choose the right place for you. Our house is a very spacious, bright and comfortable period building with great light. Blanes Hostel staff will be happy to welcome you, advise you and help you in whatever you need to make your stay incredible. Come to meet us!